HARTransit welcomes all riders that wish to take their bicycle with them on the bus. 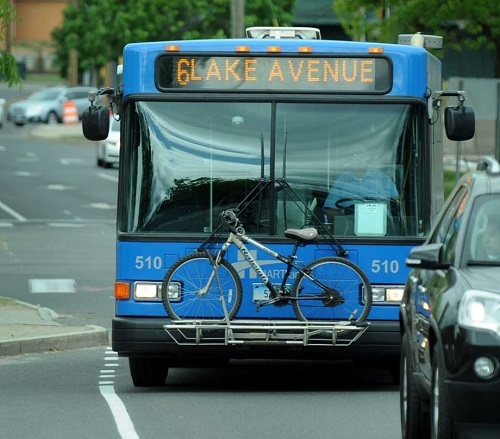 Combining your cycling trip with HARTransit allows you to travel further and reach destinations in the Greater Danbury Area not accessible by bicycle or bus alone. Cycling and using HARTransit will not only allow you to reach your destination and save you money, but can also improve your health and well-being. No bikes over 50 lbs. 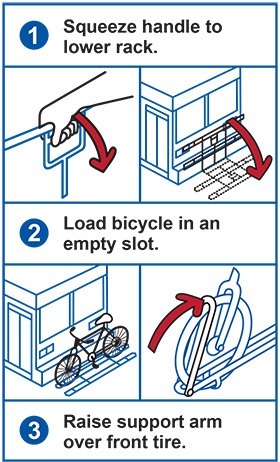 Do not lock your bike to the bus rack. Driver is not required to provide assistance loading your bike. No regular bikes are allowed on bus. If bike rack is full, use the next bus.